Jesus is Lord over everything. So his lordship should shape every aspect of life. But what impact does faith really have on our day-today existence? And how should we, as Christians, interact with the culture? In Every Square Inch, Bruce Ashford skillfully navigates such questions. Drawing on sources like Abraham Kuyper, C.S. Lewis, and Francis Schaeffer, he shows how our faith is relevant to all dimensions of culture. The gospel informs everything we do. We cannot maintain the artificial distinction between “sacred” and “secular.” We must proclaim Jesus with our lips and promote him with our lives, no matter what cultural contexts we may find ourselves in. The God who sent the Savior to rescue us as individual sinners also cares deeply about the larger world in which we individuals live. And that includes the world of culture–our art, our games, our family patterns, our political systems, and much more. In this excellent and highly readable book, Bruce Ashford spells that out clearly and with much wisdom. Bruce Ashford is one of North America’s most brilliant theologians. In this book he proves himself to be a true son of Abraham and Abraham Kuyper. This book will help equip you to think through the questions facing your church and community in the 21st century, including those questions you may not have thought yet to ask. Reading Every Square Inch is like reliving my personal journey of discovery, which in many respects, mirrors Bruce Ashford’s immersion into another cultural context, viewing the USA from the outside-in, and wondering what Christianity offers regarding the big questions of life, society, and culture. Every Square Inch is a splendid introduction to the Christian calling to live under the lordship of Christ in every sphere of life. The gospel is the power of God unto salvation, and its message impacts every area of life. Here is the greatest story ever told (arts) about what the world is truly like (science) now that a crucified messiah is King of the world (politics), a King who has formed a generous people in His image (economics) and now commissions us to teach others to obey all Christ’s commands (education). As in each generation, the Christian has both the privilege and responsibility of spreading everywhere the fragrance of the knowledge of Christ. In a globalized, and increasingly pluralistic context, the task is often easier said than done. Dr. Bruce Ashford exemplifies in his life that grace for the task has been provided, and he excels with his pen in declaring the all-encompassing reign and relevance of the Lord Jesus. As a personal friend and grateful beneficiary of both his life and work on this subject, I commend Every Square Inch to all who desire to know how the universal rule of Christ impacts every area of life. Bruce Ashford has a real gift to take complicated concepts and put them in words all of us can understand. In Every Square Inch, he does just this as he helps us to think Christianly and comprehensively for the glory of Christ in all things. I will be recommending this book for those who want to cultivate a Christian worldview way of thinking and living. 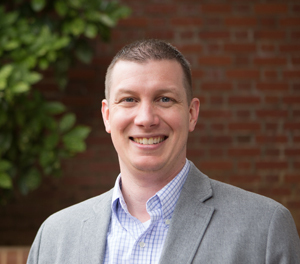 Bruce Riley Ashford (PhD, Southeastern Baptist Theological Seminary) is Provost and Dean of the Faculty at Southeastern Baptist Theological Seminary, where he also serves as Professor of Theology and Culture.